If you don’t already know the basics of Guerrilla Marketing, you can read the IMCHawks great post from earlier this week HERE. One of the most recognizable brands in the entire world, Nike, continues to implement guerrilla marketing strategies to maintain their brand’s association with the healthy and active lifestyle. These campaigns not only break through the clutter, but also are actively creating “buzz” and discussions about their company. While many consumers probably won’t pay too much attention to their traditional TV spots or sponsored endorsements after seeing the 1000th Nike commercial of the month, this guerrilla marketing campaign might just reach the target audience they are missing. It is not only a new and distinct approach, but is reaching out to their active customers in their own environment and in a way that will encourage discussion. Big companies and small companies, non-profits and local campaigns, city and state governments, and even the Colombian national government, have used this non-traditional form of marketing successfully, often times not only saving themselves money but creating a campaign that can truly stand out in the crazy advertising “jungle” consumers are exposed to every day. 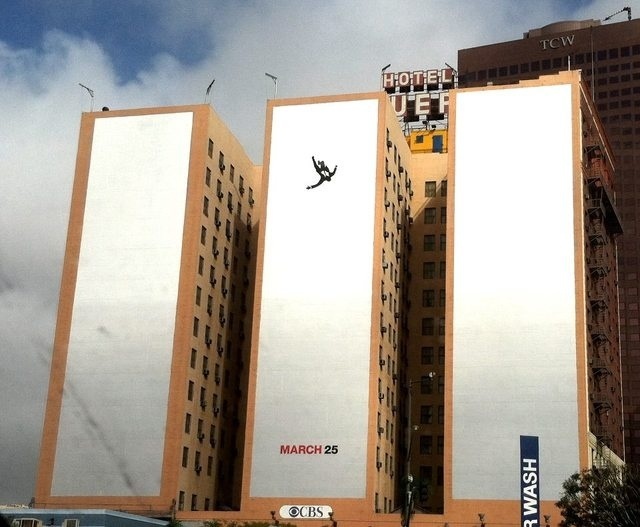 Guerrilla marketing proves you don’t have to buy-out the side of a building like Mad Men to promote your product. When it comes to guerrilla marketing, the #1 thing to remember is to create buzz and discussion within the public about your brand, product, or idea. The IMCHawks love to see original and inventive campaigns, so today we are here to offer 7 great tips to help anyone or any company add successful guerrilla marketing campaigns to their professional repetoire. If successful, your campaign may not only be able to save a budget, but also promote your product in a way people will truly remember. 1)	Start small and focus on the basics. Form a street team and hang flyers. Think of the most creative way to promote a local concert and try out your own techniques. Simply by knowing what’s involved in the most basic types of promotions can help, but the most relevant experience is to know how to create compelling promotional content and place it in a location where it can be seen and discussed. If you happen to be attending school, this can be an excellent opportunity to conduct promotional work for on-campus groups or clubs and build confidence. 2)	Show some hustle. Do whatever it takes to get your campaign noticed. Hang flyers at midnight while everyone is asleep, use as little money as possible and be continue to think creatively when trying to save money. Put your own mark on the world and people will notice your efforts. Guerrilla campaigns are unique because they depend more on creativity, involvement, and committment than a large budget. Create something that takes time to implement and can’t simply be recreated by throwing around large sums of money. 3)	Have skills as a creative. 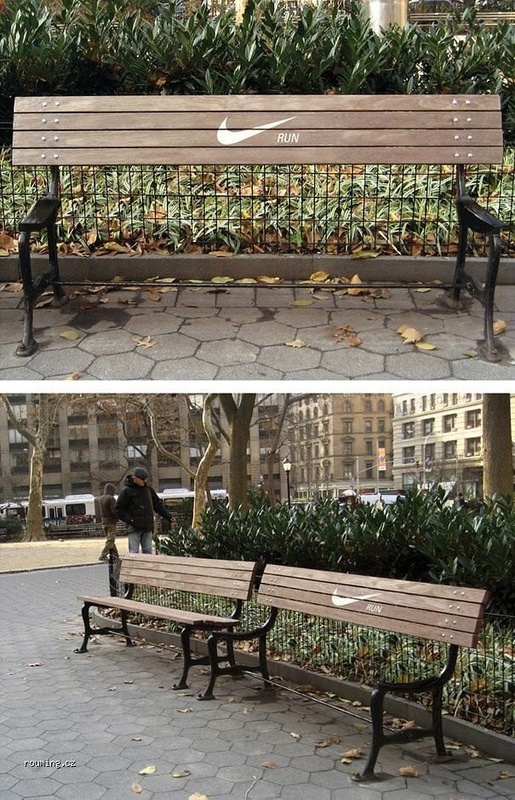 Guerilla marketing requires truly great design & copy. Work hard to create driving, engaging content and displays. Practice and it will pay off in the future. 4)	Focus on results, understand what creates results and how you might successfully reach your goal. Often times guerilla marketing campaigns have a great creative concept but simply forget what needs to be accomplished. It is called guerrilla marketing, remember the marketing part of it! To simply make something attracting and eye-catching is only a first step. Do your homework on your target audience and what motivates their purchasing decisions. Your campaign must lead to further action or it isn’t a marketing campaign at all. 5)	Check Craigslist and other local job sites for “motivators”, “brand ambassadors”, or “street team” postings. Join one. Any experience you can have with an established campaign will give you the confidence and experience needed to start your own campaign. If the campaign you join is weaker than expected, you’ll quickly begin to think of your own ways to improve it. Now you are moving in the right direction! 6)	Last but not least, read! There is plenty of content posted by marketing guru Seth Godin to fill a few hundred books on the field of advertising. Although his content is not always relevant to guerrilla marketing, interpreting and applying concepts from Seth’s blog shows you are well on your way to a creating a successful campaign. If you enjoy more traditional forms of literature there are some useful books like this one to help get any new marketer on their feet in the industry. 7) Use common sense when it finally comes to implement your campaign. As seen earlier, Snapple’s campaign to promote their new flavors of tea might have been successful and fun if it wasn’t staged on an 80F day in the middle of the city. Take a step back and ask yourself if there is anything that might get in the way of your goals. Anything from weather, national holidays, or even a current event might ruin your debut. Unlike a magazine or TV spot, you have one chance to debut your campaign. Make sure your timing is impeccable. If you can follow these simple rules, you are sure to create something compelling and engaging to drive results towards your ultimate goal. We would say “Good luck!”, but if the campaign is planned as carefully as it needs to be, luck won’t have anything to do with it!